Terry Teachout (born February 6, 1956) is an American author, critic, biographer, playwright, stage director, and librettist. He is the drama critic of The Wall Street Journal, the critic-at-large of Commentary, and the author of "Sightings," a column about the arts in America that appears biweekly in The Wall Street Journal. He blogs at About Last Night and has written about the arts for many other magazines and newspapers, including The New York Times and National Review. He is a regular panelist on Three on the Aisle, a bimonthly podcast about theater in America that is hosted by American Theatre magazine. Teachout was born in Cape Girardeau, Missouri, the oldest son of Evelyn Teachout (née Crosno), a secretary, and Herbert H. "Bert" Teachout, a hardware salesman. He grew up in Sikeston, Missouri. In 1974, Teachout attended St. John's College in Annapolis, Maryland. In 1979, Teachout received a B.A. in journalism and music from William Jewell College in Liberty, Missouri. He attended the University of Illinois at Urbana-Champaign from 1983 to 1985. From 1975 to 1983, Teachout lived in Kansas City where he worked as a jazz bassist and wrote about classical music and jazz for the Kansas City Star. 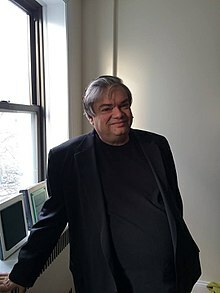 In 1985, Teachout moved to New York City, where he worked as an editor at Harper's Magazine from 1985 to 1987 and an editorial writer for the New York Daily News from 1987 to 1993. From 1993 to 2000 Teachout was the classical music and dance critic at New York Daily News. Teachout is the drama critic of The Wall Street Journal and writes a bi-weekly column called "Sightings" about the arts in America for that paper. He is the critic-at-large of Commentary. Teachout's books include All in the Dances: A Brief Life of George Balanchine (2004), A Terry Teachout Reader (2004), The Skeptic: A Life of H.L. Mencken (2002), and City Limits: Memories of a Small-Town Boy (1991). Teachout is the editor of Beyond the Boom: New Voices on American Life, Culture, and Politics (1990), which featured an introduction by Tom Wolfe, and Ghosts on the Roof: Selected Journalism of Whittaker Chambers, 1931–1959 (1989). In 1992, Teachout rediscovered the manuscript of A Second Mencken Chrestomathy among H.L. Mencken's private papers and edited it for publication by Alfred A. Knopf in 1995. In 2009, Teachout wrote Pops: A Life of Louis Armstrong. "With Pops, his eloquent and important new biography of Armstrong, the critic and cultural historian Terry Teachout restores this jazzman to his deserved place in the pantheon of American artists," Michiko Kakutani wrote in her New York Times review of Pops. The Washington Post chose Pops as one of the ten best books of 2009, The Economist chose it as one of the best books of the year, and the New York Times Book Review chose it as one of the "100 notable books" of 2010. Satchmo at the Waldorf, a one-man-two-character play about Louis Armstrong and Joe Glaser, Armstrong's manager, was premiered at Orlando Shakespeare Theater's Mandell Theatre in Orlando, Fla., on September 15, 2011, in a production starring Dennis Neal and directed by Rus Blackwell. An extensively revised version of Satchmo at the Waldorf in which Miles Davis is also briefly portrayed was produced by Shakespeare & Company of Lenox, Mass., in August 2012, with John Douglas Thompson playing Armstrong, Glaser, and Davis. The production, which transferred to Long Wharf Theatre of New Haven, Conn., in October 2012, and to Philadelphia's Wilma Theater in November 2012, was directed by Gordon Edelstein. The Boston Globe described the revised version of the play as a "tour de force…Aided by director Gordon Edelstein and the consummately skilled Thompson as interpreter, Teachout—in his debut as dramatist rather than drama critic—has contributed a work of insight and power." According to the New York Times, "Reviewing a play is one thing; writing a play is quite another. Terry Teachout, drama critic for The Wall Street Journal, makes this hat-switching look far easier than it is with his first play…Mr. Teachout has done a fine job of building a fiction-plus-fact theater piece." Satchmo at the Waldorf transferred to New York's Westside Theatre, an off-Broadway house, on March 4, 2014. It closed there on June 29, 2014, after 18 previews and 136 performances. According to The New Yorker, "Teachout, Thompson, and the director, Gordon Edelstein, together create an extraordinarily rich and complex characterization. The show centers on the trumpeter’s relationship with his Mob-connected Jewish manager of more than thirty-five years, Joe Glaser. Thompson forcefully inhabits both men—and throws in a chilling Miles Davis—delivering an altogether riveting performance." Thompson won the 2013–14 Outer Critics Circle Award and Drama Desk Award for "Outstanding Solo Performance" for his performance in the play. It was produced at the Wallis Annenberg Center for the Performing Arts in Beverly Hills, Ca., in May 2015, and at Chicago's Court Theatre, Colorado Springs' Theatreworks, Palm Beach Dramaworks, the Seacoast Repertory Theatre of Portsmouth, N.H., and San Francisco's American Conservatory Theatre during the 2015–16 season. It was produced by New Venture Theatre of Baton Rouge, La., Triangle Productions of Portland, Ore., B Street Theatre of Sacramento, Calif., and the Mosaic Theater Company of Washington, D.C., during the 2016-17 season. The Palm Beach Dramaworks production was directed by Teachout in his professional debut as a stage director. On February 24, 2018, Satchmo opened at the Alley Theatre of Houston in a production directed by Teachout that ran through March 18, 2018; it was performed by Jerome Preston Bates. Teachout's second play, Billy and Me, a four-character-three-actor play about the relationship between William Inge and Tennessee Williams, premiered at Palm Beach Dramaworks in West Palm Beach, Fla., on December 8, 2017. Teachout has also written the libretti for three operas by Paul Moravec: The Letter, an opera based on the 1927 play by W. Somerset Maugham that was premiered on July 25, 2009, by the Santa Fe Opera; Danse Russe, a one-act backstage comedy about the making of Igor Stravinsky's The Rite of Spring that was premiered by Philadelphia's Center City Opera Theater on April 28, 2011; and The King's Man, a one-act companion piece to Danse Russe about Benjamin Franklin and his illegitimate son William that was premiered by Louisville's Kentucky Opera on a double bill with Danse Russe on October 11, 2013. In addition, Teachout was the librettist for Moravec's cantata "Music, Awake!," which was premiered at Rollins College by the Bach Festival Society of Winter Park (Florida) on April 16, 2016. Teachout wrote the forewords to Paul Taylor's Private Domain: An Autobiography (1999, University of Pittsburgh Press), Elaine Dundy's The Dud Avocado (2007, New York Review Books Classics), William Bailey's William Bailey on Canvas (2007, Betty Cuningham Gallery), and Richard Stark's Flashfire and Firebreak (2011, University of Chicago Press) and contributed to The Oxford Companion to Jazz (2000, Oxford University Press), Field-Tested Books (2008, Coudal Partners), and Robert Gottlieb's Reading Dance (2008, Pantheon). He also appears in Alex Gibney's Sinatra: All or Nothing at All (2015) and two film documentaries about dance, Mirra Bank's Last Dance (2002) and Deborah Novak's Steven Caras: See Them Dance (2011). Teachout contributed notes on recordings by Louis Armstrong, Gene Krupa and Oscar Peterson to Jazz: The Smithsonian Anthology (2011) and has written liner notes for CDs by jazz musicians Karrin Allyson, Gene Bertoncini, Ruby Braff and Ellis Larkins, Julia Dollison, Jim Ferguson, Roger Kellaway, Diana Krall, Joe Mooney, Marian McPartland, Mike Metheny, Maria Schneider, Kendra Shank and Luciana Souza, the pop-jazz Lascivious Biddies, the bluegrass band Nickel Creek, the Alec Wilder Octet, and the classical ensembles Chanticleer and the Trio Solisti, as well as for the original-cast album of Hands on a Hardbody. Teachout is a political conservative. He was a member of The Vile Body, a social organization with members from the worlds of publishing and journalism that he founded. In 2005, Teachout was hospitalized with congestive heart failure, but subsequently recovered. He is married and lives in New York City with his wife. Teachout, Terry, ed. (1989). Ghosts on the Roof: Selected Journalism of Whittaker Chambers, 1931-1959. Washington, D.C.: Regnery Gateway. ISBN 978-0-895-26765-8. OCLC 20130686. Teachout, Terry; Wolfe, Tom (introduction by) (1990). Teachout, Terry (ed.). Beyond the Boom: New Voices on American Life, Culture, and Politics. New York: Poseidon Press. ISBN 978-0-671-68639-0. OCLC 22003863. Teachout, Terry (1991). City Limits: Memories of a Small-Town Boy. New York: Poseidon Press. ISBN 978-0-671-68351-1. OCLC 24219089. Mencken, H.L. (1995). A Second Mencken Chrestomathy. New York: A.A. Knopf. ISBN 978-0-307-83111-8. OCLC 301131151. Teachout, Terry (2002). The Skeptic: The Life of H.L. Mencken. New York: HarperCollins. ISBN 978-0-060-50528-8. OCLC 779071436. Teachout, Terry (2004). A Terry Teachout Reader. New Haven: Yale University Press. ISBN 978-0-300-09894-5. OCLC 52750171. Teachout, Terry (2004). All in the Dances: A Brief Life of George Balanchine. Orlando, FL: Harcourt. ISBN 978-0-151-01088-2. OCLC 55016196. Teachout, Terry (2009). Pops: A Life of Louis Armstrong. Boston: Houghton Mifflin Harcourt. ISBN 978-0-151-01089-9. OCLC 758783092. Teachout, Terry (2013). Duke: A Life of Duke Ellington. New York: Gotham Books. ISBN 978-1-592-40749-1. OCLC 917157658. Teachout, Terry (2015). Satchmo at the Waldorf. New York, NY: Dramatists Play Service Inc. ISBN 978-0-822-23157-8. OCLC 920019459. Teachout, Terry (2017). Billy and Me. Teachout, Terry; Moravec, Paul (2009). The Letter. Teachout, Terry; Moravec, Paul (2012). Danse Russe: A Vaudeville in One Act. Verona, NJ: Subito Music. OCLC 948518489. Teachout, Terry; Moravec, Paul (2013). The King's Man. Teachout, Terry; Moravec, Paul (2016). Music, Awake!. ^ Stetson, Nancy (7 January 2009). "America's drama critic: Terry Teachout". Fort Myers Florida Weekly. Archived from the original on 19 June 2013. ^ a b Kakutani, Michiko (23 November 2009). "The Voice That Helped Remake Culture, From Terry Teachout". The New York Times. ^ a b Gates, Anita (12 October 2012). "A Discussion With Terry Teachout, the Writer of 'Satchmo at the Waldorf'". The New York Times. ^ Teachout, Terry (7 May 2012). "TT: Evelyn Teachout, R.I.P." About Last Night. ^ a b Alfisi, Kathryn (15 July 2004). "Sikeston native may become a member of national arts council". Southeast Missourian. ^ Newton, Maud (1 November 2004). "Interview with Terry Teachout". Maud Newton. ^ Smiley, Jane (10 November 1991). "Wide-Eyed in the Big City". The New York Times. ^ "Terry Teachout". John Simon Guggenheim Memorial Foundation. 2012. Archived from the original on 4 January 2013. Retrieved 11 November 2012. ^ "Book World Picks Its 10 Best Books of the Year". Washington Post. December 13, 2009. Retrieved 17 October 2012. ^ "Books of the Year: Page-turners". The Economist. December 3, 2009. Retrieved 11 November 2012. ^ "100 Notable Books of 2010". The New York Times. 24 November 2010. ^ Millman, Debbie (2013). "Terry Teachout" (audio interview). Design Matters with Debbie Millman. ^ Gavin, James (6 December 2013). "'Duke: A Life of Duke Ellington,' by Terry Teachout". The New York Times. ^ "Review of Duke: A Life of Duke Ellington". Kirkus Reviews. November 15, 2013. Retrieved 28 October 2013. ^ "Review of Duke: A Life of Duke Ellington". Publishers Weekly. July 22, 2013. Retrieved 28 October 2013. ^ MacDonald, Sandy (August 28, 2012). "A deep, impassioned bio-play about a jazz legend". Boston Globe. Retrieved 21 October 2012. ^ Genzlinger, Neil (17 October 2012). "'Satchmo at the Waldorf,' at Long Wharf Theater in New Haven". The New York Times. ^ Kozinn, Allan (14 January 2014). "'Satchmo at the Waldorf' to Open Off Broadway". ArtsBeat, The New York Times. ^ "Satchmo at the Waldorf". The New Yorker. Retrieved 8 March 2014. ^ Gans, Andrew (May 12, 2014). "64th Annual Outer Critics Circle Award Winners Announced". Playbill. Archived from the original on 12 May 2014. Retrieved 12 May 2014. ^ Hempstead, Pete (June 1, 2014). "The 2014 Drama Desk Award Winners Are Being Announced!". Playbill. Retrieved 1 June 2014. ^ Hirschman, Bill (12 May 2016). "Terry Teachout Directs Own Play Satchmo At The Waldorf". Florida Theater On Stage. ^ Houston Chronicle, Alley’s ‘Satchmo at the Waldorf bares Armstrong’s soul March 5, 2018  Accessed June 2, 2018. ^ "Palm Beach Dramaworks Announces World Premiere of Terry Teachout's BILLY AND ME". Broadway World. January 27, 2007. Archived from the original on 6 February 2017. Retrieved 6 February 2017. ^ Teachout, Terry (19 July 2009). "A drama critic's turn to face the music". Los Angeles Times. ^ Palm, Matthew (April 15, 2016). "World-premiere music honors Bach Festival's John Sinclair". Orlando Sentinel. Retrieved 15 April 2016. ^ Scott, Janny (20 April 1996). "90's Revival: Positive Power of Thinking". The New York Times. ^ Friend, David (2016). The Naughty Nineties: The Triumph of the American Libido. New York: Twelve. ISBN 978-0-446-55629-3. OCLC 951764295. ^ Teachout, Terry (15 December 2005). "TT: Time off for good behavior". About Last Night. ^ Teachout, Terry (1 November 2017). "Ready to begin again". About Last Night. ^ "The National Council on the Arts: Three New Members are Welcomed". NEA ARTS. March–April 2005. Archived from the original on 21 September 2008. Retrieved 15 November 2012. ^ "Terry Teachout". The Portable MacDowell. 2017. Retrieved 12 July 2017. ^ "Terry Teachout". John Simon Guggenheim Memorial Foundation. 2012. Retrieved 11 November 2012. ^ "Teachout Wins Bradley Prize". The Wall Street Journal. April 30, 2014. Retrieved 30 April 2014. Wikimedia Commons has media related to Terry Teachout.